Atmospheric studies: automated samplers and analysers operated with minimal on-board assistance could be installed on the vessels for meteorology, radiation or air quality. 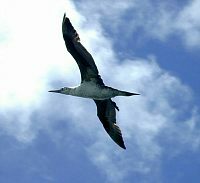 Air/air-sea interface biological studies: at specific times of the year, space could be made available for the conduct of seabird and cetacean surveys. Geological/seabed discrimination: seismic, side-scan sonar or acoustic data could be easily collected within the boundaries of the main seabed survey. The collection of seabed samples would be an invaluable asset for a variety of research proposals. Many such co-operative projects were initiated right at the outset of the 2000 mapping season. Survey crews have been noting daily weather patterns for Ireland's national weather service, Met Eireann. Bord Iascaigh Mhara, the Irish Fisheries Board, is also taking specially formatted daily reports from survey vessels. The crews are reporting sightings of cetaceans to the Irish Whale and Dolphin Group, and bird and cetacean spotters from the Coastal & Marine Resources Centre at Cork University have also been on board the survey vessels. For example, in 2002 researchers from there spent five weeks at sea on board the Petrov carrying out extensive research. For further information click here. The Marine Institute is keen to make every effort to ensure that any useful marine research/marine monitoring that can be done in parallel with the seabed survey, will be done, without undermining the progress of the survey itself. The primary component of the project involves the acquisition of multi-beam sonar data. It is the clear intention that the gathering of this data is given priority and that the gathering of all other data sets will be contingent on not interrupting the efficiency and effectiveness of this work. Projects with significant spin-off value, e.g. new fishing grounds, will add considerable value to the foundation set and such projects be considered favourably. Areas should be selected which could be revisited in the future as part of a long-term monitoring programme. 1-2 berths are reserved on the survey vessels for any appropriately qualified scientists. For further information please contact the Marine Institute. A knowledge of any specific equipment, crewing requirements and preferred areas of work would be helpful. There are substantial numbers of survey vessels conducting research in Irish waters. In any single year, the number of foreign research vessels can be as high as 50. The Marine Institute maintains the FMSR Database which has a record of the vessels currently carrying out research. On behalf of the Department of Foreign Affairs, the Marine Institute has the authority to place appropriately qualified Irish observers on foreign research vessels. 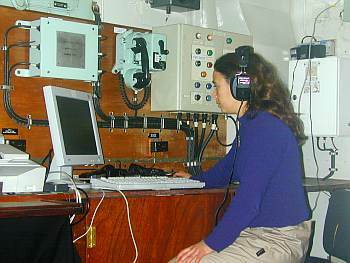 The scientific and the sea-going experience of the foreign vessel observer scheme are beneficial to the prospective marine scientist. 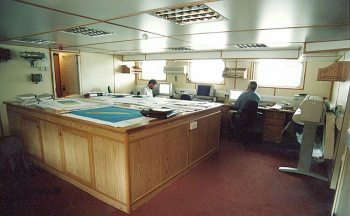 In 2000 a Strategic Research Programme was implemented aboard the Irish national research vessel, the Celtic Voyager. The aim of this programme was to build geological expertise in the third level sector. Universities from Dublin, Cork and Galway took part in it with projects exploring sediment processes in the coastal environment. In 2000 Ireland became a member of the Ocean Drilling Program (ODP) co-ordinated by the European Science Foundation. This programme will further our understanding of tectonic processes that shape oceans and continents, including erosion of continents and climate change. Involvement in the ODP presents a unique opportunity for Irish researchers to become involved at a working level with this prestigious international programme.